It’s not easy to win when you have nothing to play for. In this final series of the year, the Marlins have second place to play for. But second place in the NL East in 2014 is still going to be more than 15 games back of the first place Nationals, who made off like Steve Miller after they grabbed the top spot. That is, they took the money and ran. Today, Miami and Washington are playing a double header before the final two games of the season over the weekend. The current and final series of the year is four games long because of a rain out in D.C. way back in May. That was four months ago, and it’s so weird to think about. I was at Nationals Park the day after that postponed game when Paul Fritschner made his prophecy that the make up date for would result favorably for Washington, who was riddled with injuries in the spring. He was right, not that it really mattered though. Washington won the first game of today’s double header decisively, 4-0. In doing so, they captured the top spot in the National League, clinching home field advantage through the NLCS. 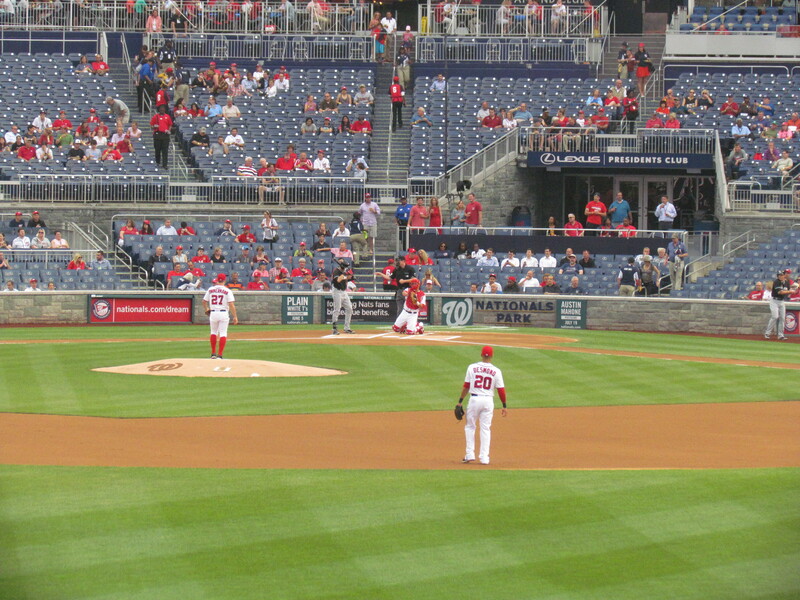 I’m rooting for the Nats all the way from this point, aside from the three remaining games against the Fish. Miami’s loss today hurts even more knowing that I’m not even in Virginia to commiserate with them. Instead, I had to observe helplessly from the campus in Dayton. This marks the first time that the Marlins are playing at Nationals Park and I can’t even watch them on local television. If I were still in high school, I’d like to think that I would have skipped classes today to be in D.C.. Pulling for the Nationals in the playoffs is not just a hometown ordeal, at least this season. Two arms in Washington’s bullpen, Craig Stammen and Jerry Blevins, went to the University of Dayton. They’re the first UD players to make the Major Leagues since the 1960s. So as I try to build a Nationals fan base here in Ohio, the Nats have clinched the top spot in the National League and will go for Washington’s first baseball title since 1924. I just hope they drop three to Miami before they begin that quest. 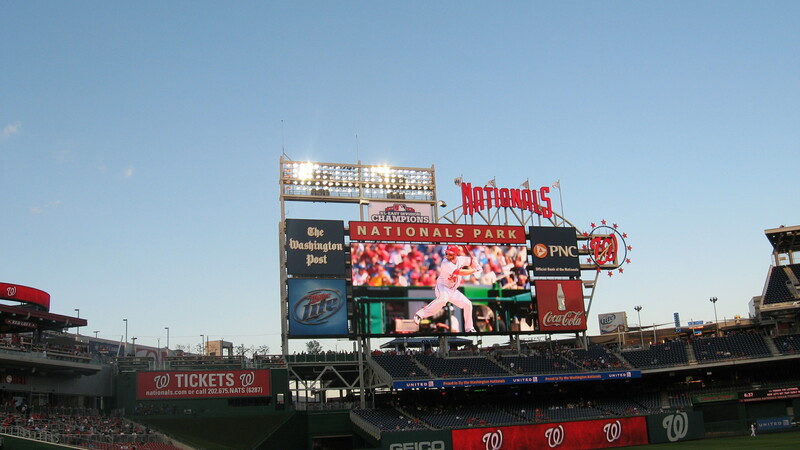 Previous What Politics and History have to do with Baseball in Washington, D.C.